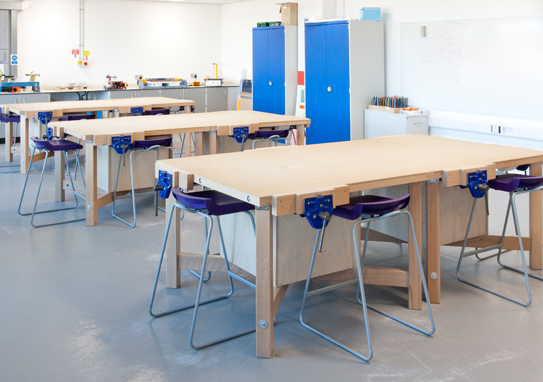 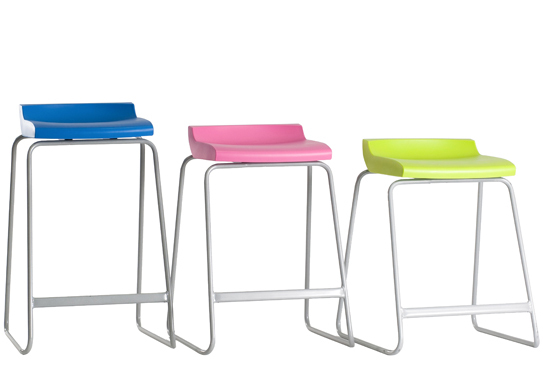 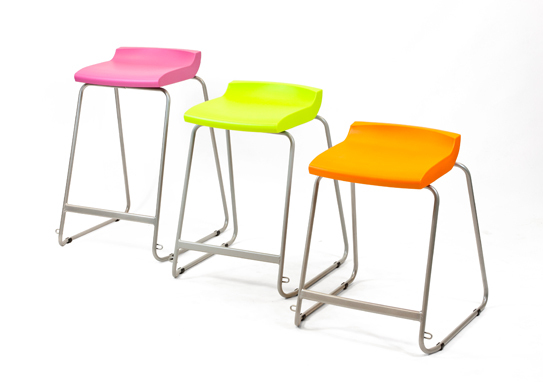 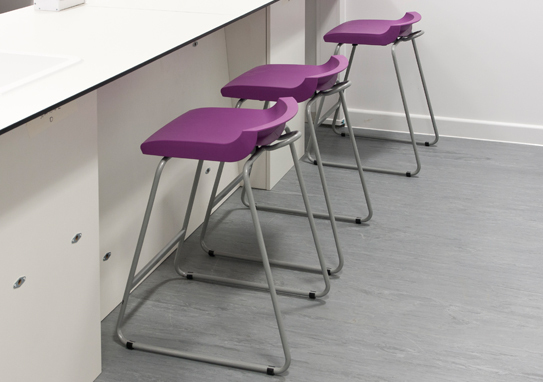 Postura+ Stools are lightweight and stackable up to 6 units high making storage simple and effective. The polypropelene seat is highly durable and easy to clean. The seat is also stain and UV resistant for longevity in any environment. Featuring a waterfall edge, the seat provides a comfort and prevents restricted blood flow to the legs. 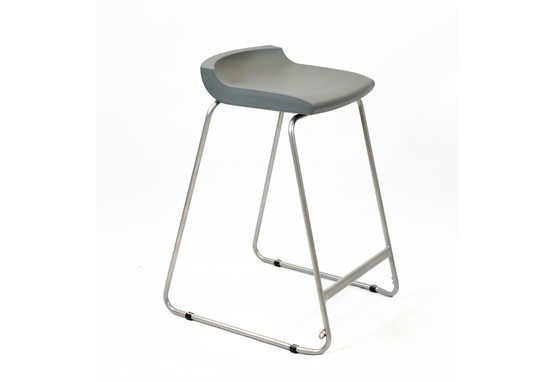 The grey powder coated sled base is scratch and chip resistant and features a convenient bag hook located underneath the seat. 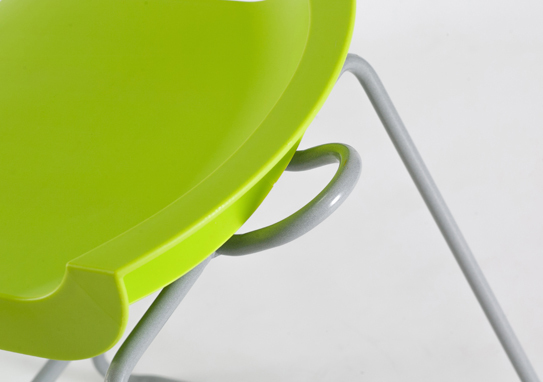 This keeps bags neatly and safely out of the way, helping to prevent trips in the classroom. 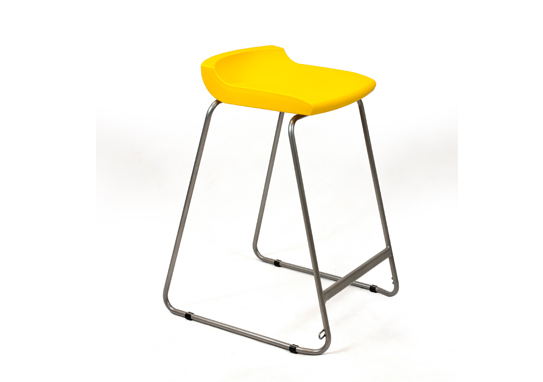 Available in three industry standard heights to suit a range of ages.